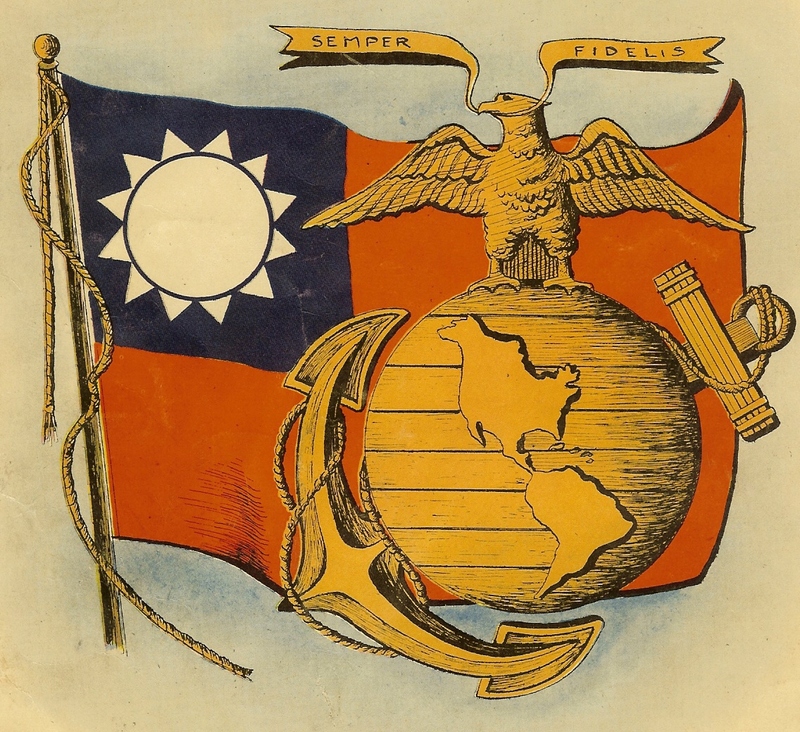 This site is my attempt to document the Marine Corps experience in China through the use of original photos, period publications, artifacts, and words, as written by the men themselves. 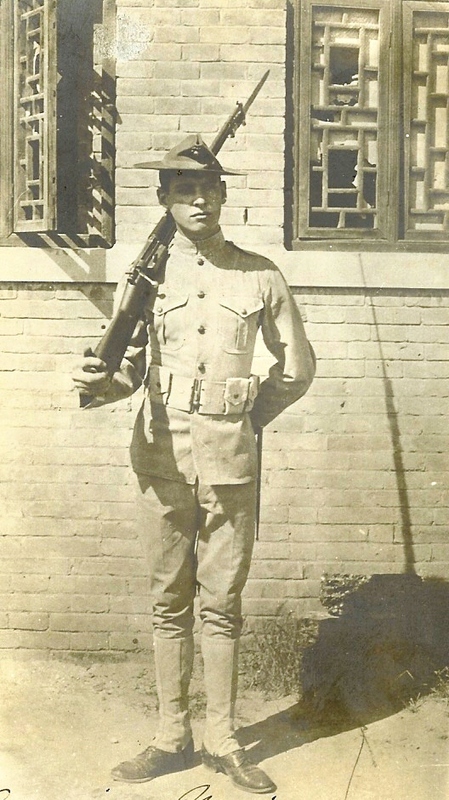 My interest in the China Marines was born out of a simple desire to know more about these unique men and my inability to easily find enough comprehensive materials to understand who they were, and why they were there. 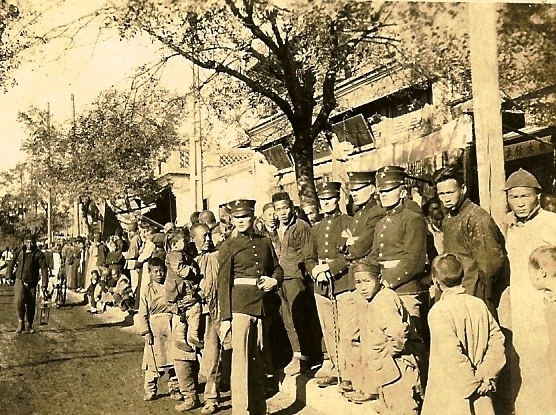 As I conducted research, amassed a collection of original materials and interviewed some of the last surviving China Marines, I decided much of the information gathered should be shared in the hope others might add to the China Marine story. As for site layout, since many China Marine activities can be grouped by geographic region, I’ve chosen to use these regions as an organizational starting point. For instance, if you want to focus your attention on understanding Marine activities in Peking, you click on the tab marked “Peking”. Likewise, to follow Marine activities in Shanghai, click the “Shanghai” tab. Initially, I thought it would be simple to organize this site along geographic lines, but I quickly realized there were other events, actors or activities that were not restricted to a particular region, or just too common to the Marine experience to be ignored. Therefore, I’ve added tabs on these areas as well. Since I am a big fan of timelines, I have attempted to place one master timeline on the homepage listing Marine, Chinese or key world events of importance to the story. As you will see the timeline requires much more work to be even close to being comprehensive. Please note many of the geographic locations have under gone name changes over time. I’ve chosen to use the names and spelling as the Marines would have recognized. Today’s city of Beijing was known as Pekin or Peking at the turn of the twentieth century, and later in 1928, it was called Peiping. Lastly, it should be said this is an evolving project, therefore expect changes as improvements are made, new information is discovered and mistakes corrected. The bulk of images and items shown on this site are copyrighted from the author’s collection, unless otherwise noted. Please do not copy without permission. I would like to thank the following Marines for their support in assisting me with this project. Without their help I would be lost: the late Cpl Gary Morhlang, USMC; Darrell Snyder, CAPT, USMC (Ret); SSgt Jeremiah Cable, USMCR; Sgt Tim Brig, USMC; Bob Gill, MAJ, USMCR (Ret); Lt Col Mike Manifor, USMC; Cpl Charles Demirjian, Chester Biggs, GySgt USMC (Ret); the late Trumpeter Thomas "Ed" Kendley, the late Cpl Leonard Dombroski; Bill Woodier, Lt Col (Ret) USMC/USAF, CAPT Fred Greguras, and of course Rick Spooner, MAJ, USMC (Ret), whose drive and enthusiasm for all things Marine brings true credit to his beloved Corps. I would also like to extend my thanks to Nelson Johnson Jr, Betty Jean Gerber, Molly Swanton, Sara Penella, Betsy Robinson, Margo Stever, Adam Rohloff, and Susan and Russell Harvey for sharing their time, patience and family history. And of course a big thanks to my wife and children who strongly supported me in my desire to build this site.